Rumor has it that RIM's recently-resigned co-CEO and board member, Jim Balsillie, sought a drastic plan to open up their infrastructure to wireless service providers, and allow competing platforms, like iOS, to run data through it. That would enable many signature BlackBerry services, namely BBM, to run on iPhone. It would also let carriers offer lots of other inexpensive messaging plans for access to Twitter, Facebook, and other social networks. Unfortunately, the rest of the management team saw the move as too drastic and risky, so shortly thereafter, Balsillie quit. See, BlackBerry smartphones shunt all of their data through a central server infrastructure managed by RIM in order to improve security and handle compression when needed. Back when carriers didn't have support for data, RIM actually worked as an mobile virtual network operator, renting network capacity to sell their devices and service. Even once carriers developed the ability to handle cellular data on their own, RIM kept the network operating center set-up and integrated it tightly with providers selling BlackBerry handsets. BBM on iOS has been whispered about for some time, but with iMessage in the picture, there may not really seem like there's much reason for it at this point. However, cross-platform mobile IM continues to be a problem in search of a great solution. There are still other avenues RIM is exploring when it comes to supporting multiple platforms, namely through the recently-launched Mobile Fusion app for remote enterprise device management. The PlayBook operating system supports Android apps, too. While I think revamping RIM's archiecture would have been an interesting move, and carriers would likely have given it a shot (at least for awhile), service revenue has always been a relatively small piece of RIM's earnings; for a small increase in cashflow from carriers, RIM would lose a ton of BlackBerry sales since the devices really wouldn't be offering anything unique anymore. Even though BlackBerry market share is continuing to spiral downwards anyway, RIM will have one last hoo-rah with the BB10 update this fall. If that fails, then maybe Balsillie's plan may see a resurgence, or, more likely, RIM will start locking in those licensing partnerships they've been talking about. 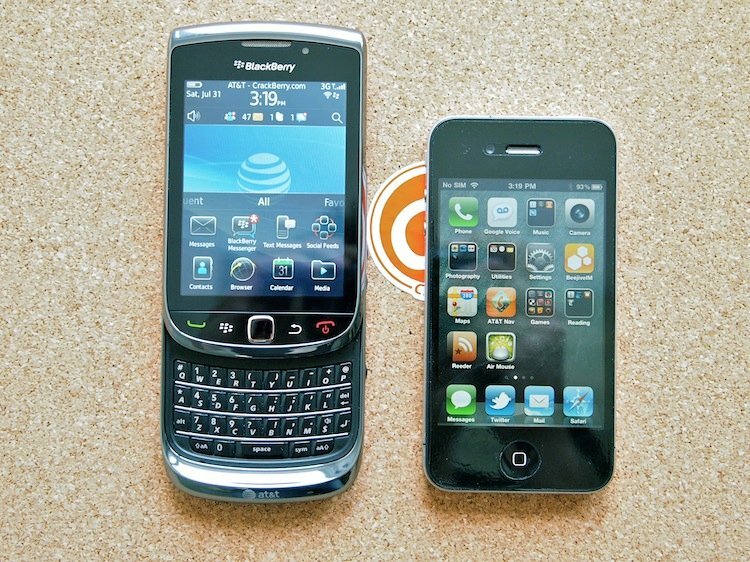 Do you guys think RIM would be able to stay alive if they got BBM on iPhone? Would a super-cheap (say, $5/month) unlimited social networking plan appeal to you?